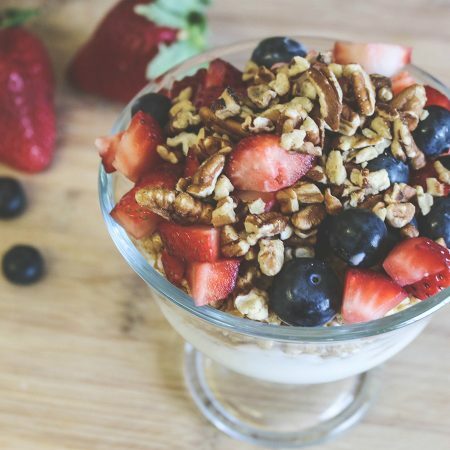 Try this quick and easy recipe for breakfast or as a dessert. Place cereal in a small bowl or cereal dish. Crush slightly with a spoon. Spread in even layer over the bottom. Add yogurt. Spread evenly over cereal. Rinse fruit or drain if canned. Sprinkle fruit evenly over yogurt. Sprinkle chopped pecans evenly over fruit. Serve.